Look like this awesome mod is dead... Doesn't work with any modded things in 1.12.2, but no update since July 2017... About 1 year without update, when the mod is so broken, that's bad, becose this is an awesome mod... Can you just made your mod opensource and give opportunity to other developer to fork and fix it?? I agree, this was a great mod. used it for years. i hope the chance is given for someone else to pick it up if the original group is no longer planning to continue it. 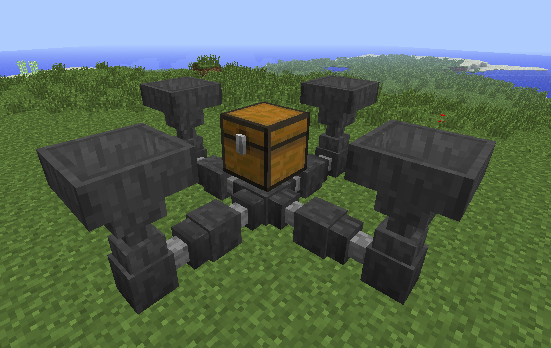 this looks like a good replacement at least for me, but either way until 1.13 forge is a thing whats there to add? Have you tried to ask in private messages about opening the source of the mod? do you know if this mod works with fluid hoppers like Flopper? Figured I'd drop a friendly comment letting you know I've added a link to this page from CityCraft's FAQ topic on which mods we are using, as I'll be using it for my modded server. can you add item faucet ??? Can you make this compatible with BitHop? I asked this in their project page but due this mod being closed source they cant make it in their side. Could you please add a config option to enable or disable the grated hopper? The reason I'm asking is because I'm making a modpack that uses another mod that also adds a grated hopper. I don't need both hoppers in the game and would like to be able to remove one of them via config if that's not too hard to do on your end. 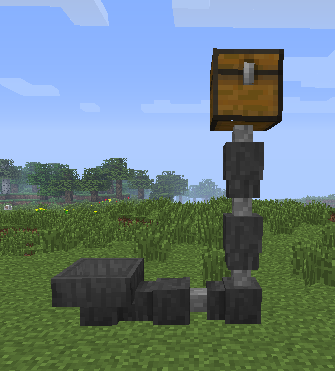 An alternative would be for you to remove the crafting recipe of this mod's grated hopper using crafttweaker, then hide the grated hopper item in NEI so the players don't see it and get confused. This mod is so simple. Everything in this mod should be in vanilla Minecraft. Please open source the mod? I'd like to fix a few game breaking bugs I've found with duct / grated hopper interaction. Hopper ducts are incompatible with Uppers. It would be nice if this could be fixed, but both mods are closed source and neither have issue trackers. I'd open an issue, but again there's no issues page. This mod is very useful, but I'm having compatibility issues with Storage Drawers. For input to a drawer network, I can get around the problem by using a vanilla hopper to pull from a hopper duct and send to a Drawer Controller or Slave. But the grated hopper and hopper ducts are unable to pull from a drawer. I'm attempting to pull from a Compacting Drawer. 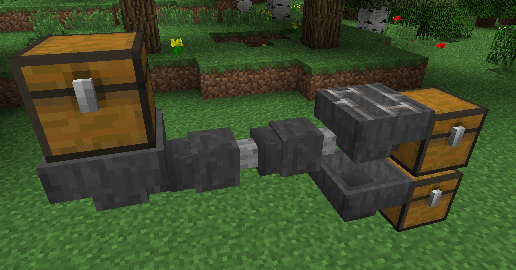 The vanilla hopper pulls the most compacted item first, then goes down the line to the least compacted. However, I only want to pull the least compacted item and leave the most compacted alone (unless the compacting drawer converts them to the least compact form). I am using version 1.5 on 1.12.2, and I've noticed that they seem to be incompatible with Ender Storage. Is it possible that this could be made to work in future updates? Thank you very much! can you add item faucet plz.